The village of Wrightstown was named for Joel Wright, the owner of the original town site. 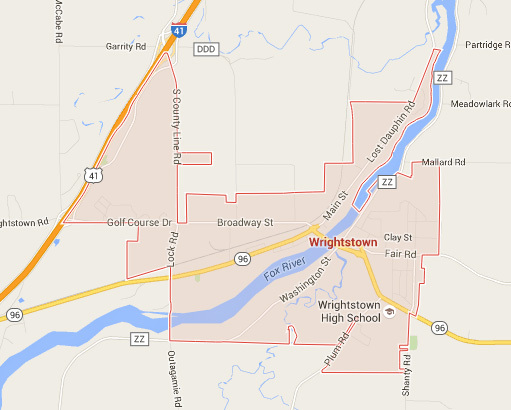 Fun fact: A post office in Wrightstown is actually called Wrightstown and has been in operation since 1852. This village is full of parks and outdoor activities. Wrightstown boasts 4 parks. There is the Van Dyke Park, Shamrock Park, Mueller Park, and Lion’s -Waupekun Park. These parks have plenty of amenities for everyone! The Van Dyke Park has soccer and baseball/softball fields. Volleyball courts are located at Mueller Park, and each park has a playground for kids. Click here for more info on the parks in Wrightstown. Food and drinks are important, and Wrightstown has more than a few to chose from. There’s even a golf course!! Check it out here. Single family homes, duplexes, and condos are located in this village on the Fox River. All styles, all different ages, and amounts of acres. Some come with land, some do not. Some are located off the Fox River, while some are not. There’s a type of home for anyone. Wrightstown is on the southern edge of Brown County, WI. The Fox River divides the township in two. The town of Greenleaf lies to the east and Holland lies to the south. Little Rapids is to the north and Outagamie County is to the west. New houses come on the market in Wrightstown regularly so if can’t find that perfect house today, let Elysia know what you’re looking for and she can monitor the market and alert you when something meeting your criteria is listed. 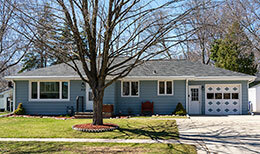 Click here to browse current Wrightstown homes on the market.